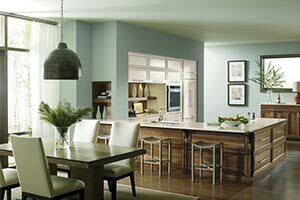 Cypress Cabinets is more than a cabinet supplier when you are looking to remodel your kitchen in the Sand City area. Cypress Cabinets is proud to be a full-service turnkey contractor for kitchen remodeling. If you are looking to update, upgrade, modernize, add-on or completely remove your current kitchen build out and start fresh, we are both the supplier and contractor who will dazzle you with results. Working with multiple contractors is often a game of who can point at the other the fastest. “They installed the plumbing in the wrong place.” “The cabinet supplier sent the wrong cabinet.” “The granite is not the right measurements.” It is enough to make a homeowner crazy. When you hire Cypress Cabinets, you get a complete job with no finger pointing because we are the supplier, coordinator, and contractor for every aspect of your project. We will not be happy until you are happy and won’t have any excuses to give if you are not – only solutions. At the end of the day, our customers pure satisfaction and delight in their new kitchens is what we have built our business around. At Cypress Cabinets, you have the opportunity to come to our showroom to see our cabinets firsthand. We are constantly updating our showroom with the latest and greatest cabinet choices from Omega, Dynasty, MasterBrand, Kemper, Contractor’s Choice and Kitchen Craft. Along with cabinets, we offer every countertop surface you can imagine. If you’ve seen it in a magazine, we can get it. Granite, tile, concrete, butcher block, Corian, soapstone, or any other material, will be yours if you request them. We will supply the plumbing fixtures, appliances, flooring material, lighting, and yes, even the kitchen sink. On top of it all, you’ll be able to work with our professional and experienced designers who will help you lay out a gorgeous and efficient kitchen plan that meets your family’s needs. Our computer aided design software lets you see before you buy, taking the guesswork and fear out of your final decisions. 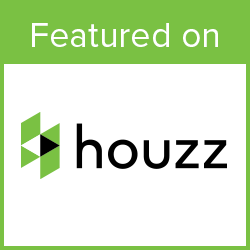 Don’t struggle with trying to manage a dozen contractors to get you the materials you need. Let the specialists at Cypress Cabinets get you exactly what you want in the configuration of your choosing. They say the kitchen is the heart of the home. The kitchen is also where the largest chunk of the value of your home lies. Remodeling and upgrading your kitchen is a sure way to increase the value of your home. You won’t just be increasing the value in dollars; you’ll be increasing your quality of life. Imagine a kitchen that allows proper traffic flow and allows your guests to mingle and chat with you while you prepare food or pour wine. Imagine an effectively designed kitchen with energy efficient appliances that built around your family’s needs. Cypress Cabinets can deliver that room to you, at a price that is affordable, and in a timeframe that meets your requirements. If you are interested in kitchen remodeling services, have any questions regarding any of our other services, or would like to receive a quote for service, feel free to contact Cypress Cabinets in Sand City today.